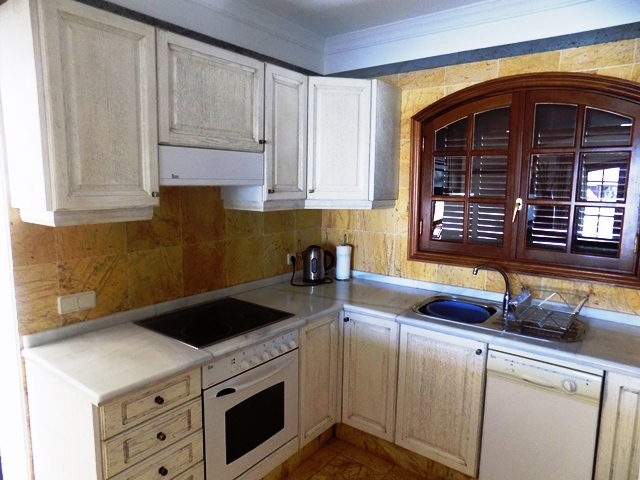 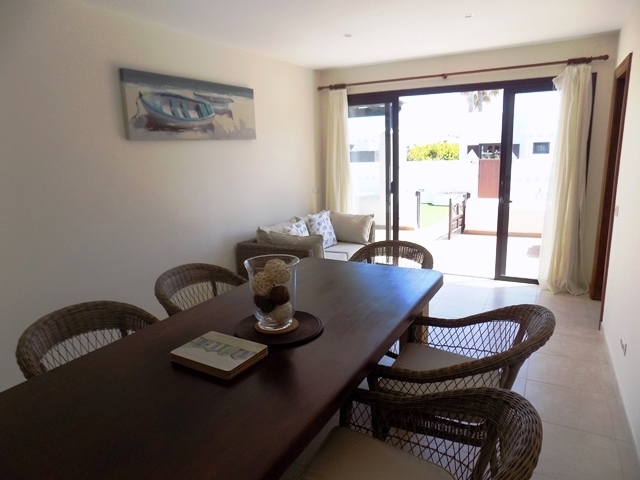 Located on phase 1 of Faro Park bsides pavement cafes and bars, we have Casa Kate, a stunning 3 bedroom villa which has been tastefully refurbished by the new owners. 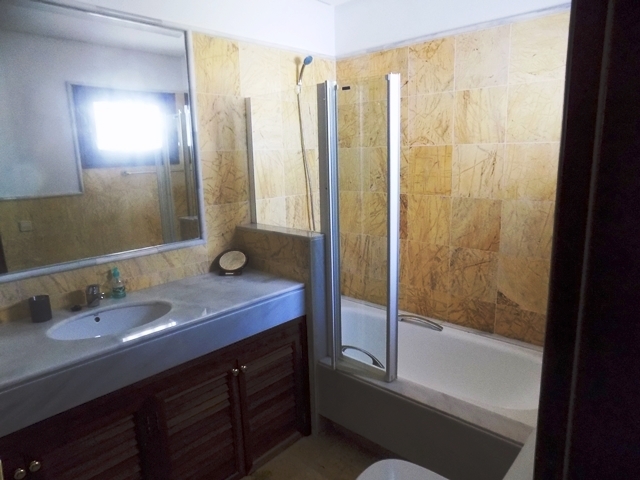 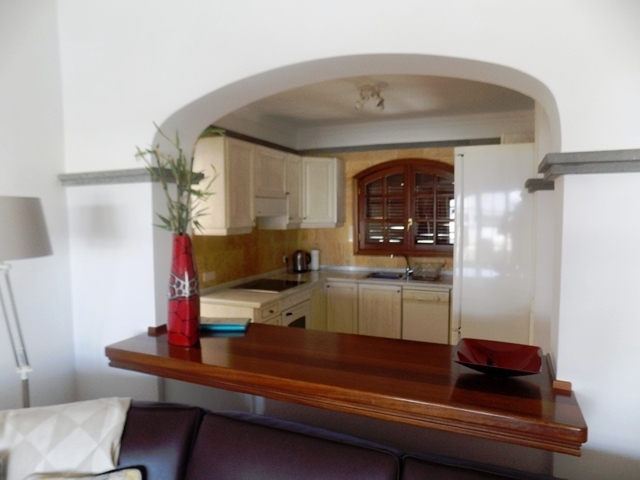 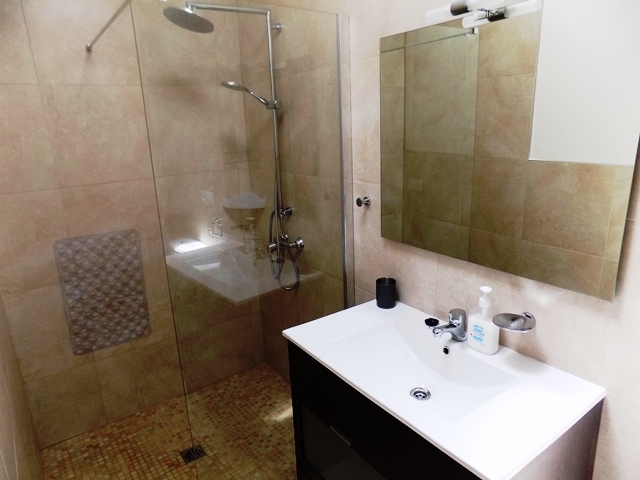 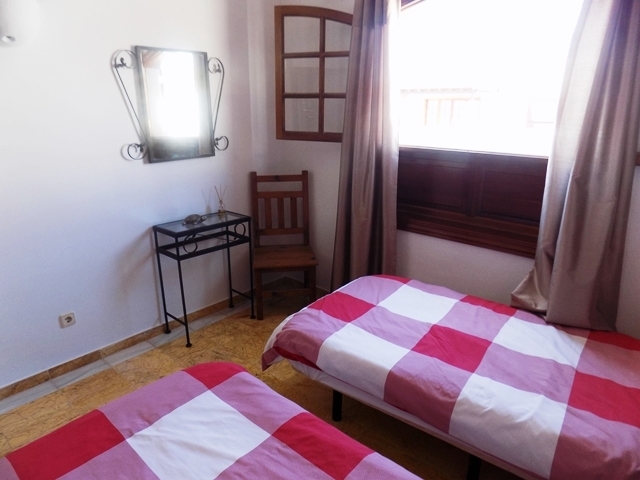 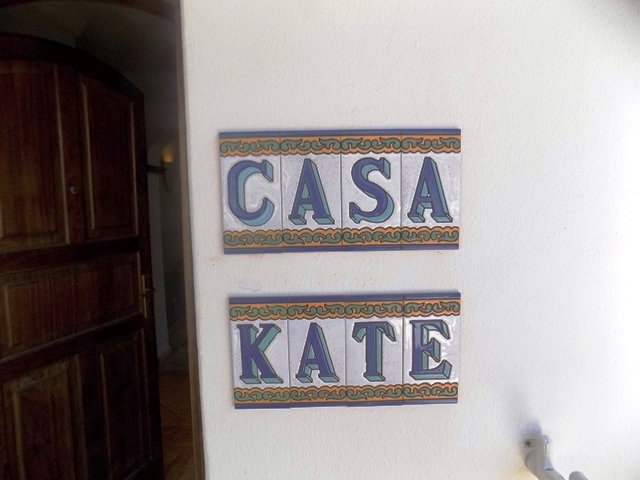 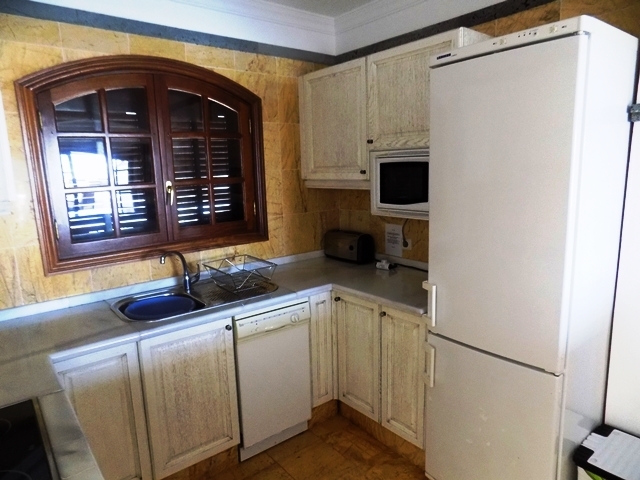 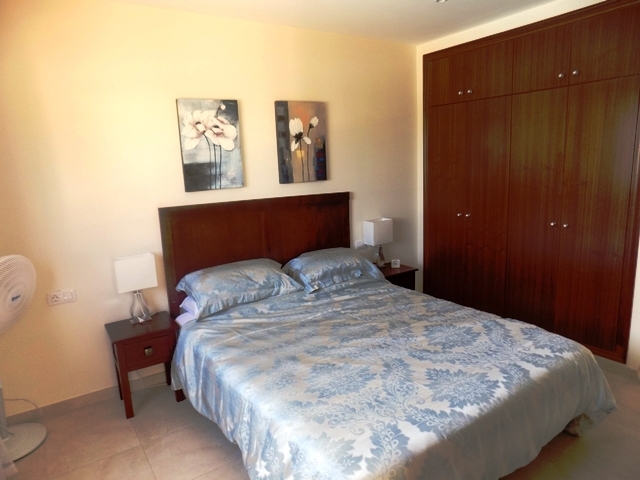 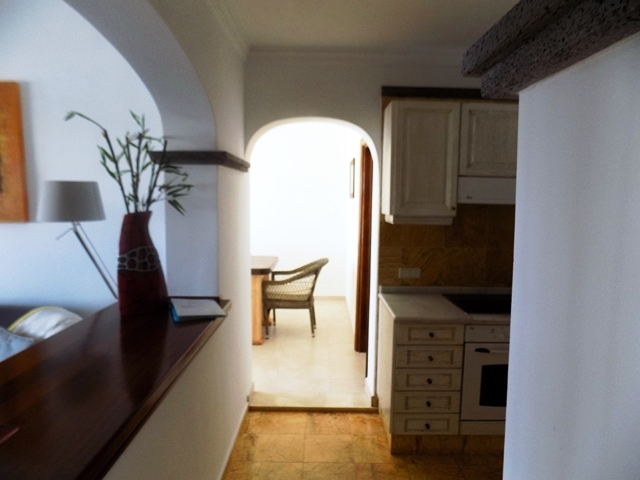 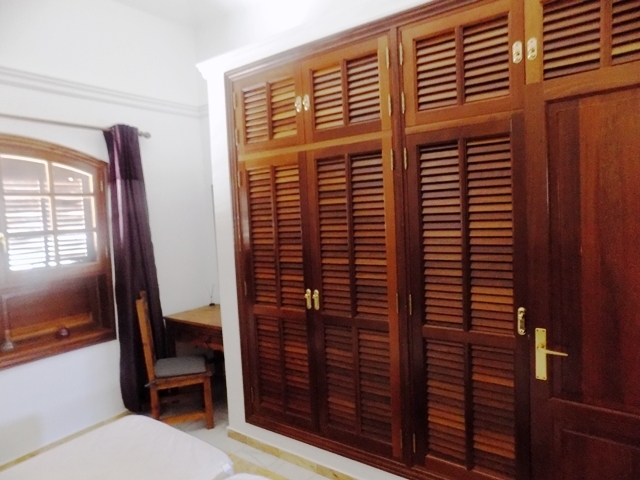 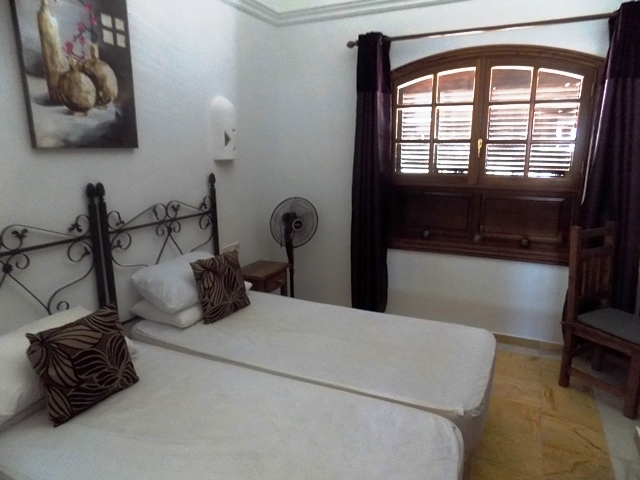 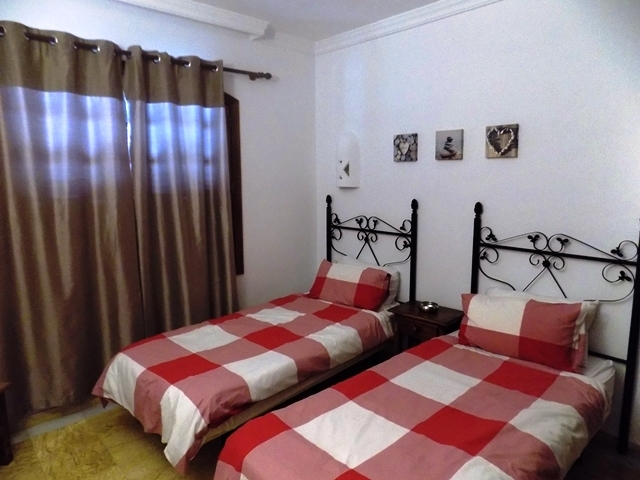 Casa Kate comprises 3 Bedrooms 2 of wich are en-suite and can sleep up to six people comfortably. 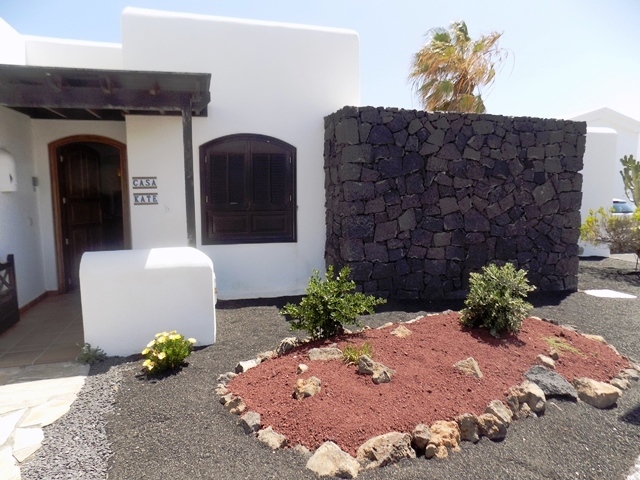 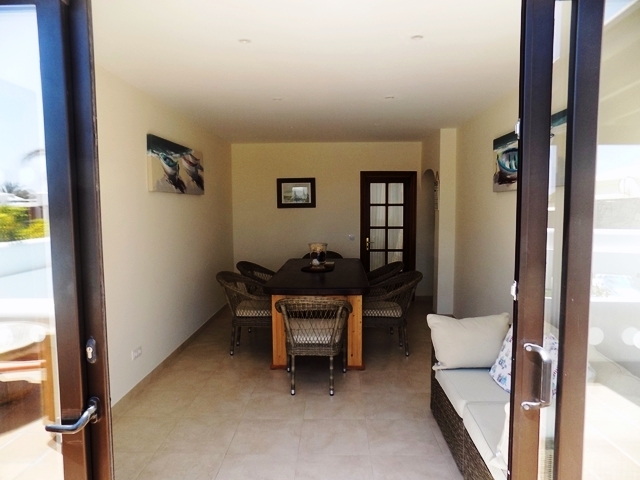 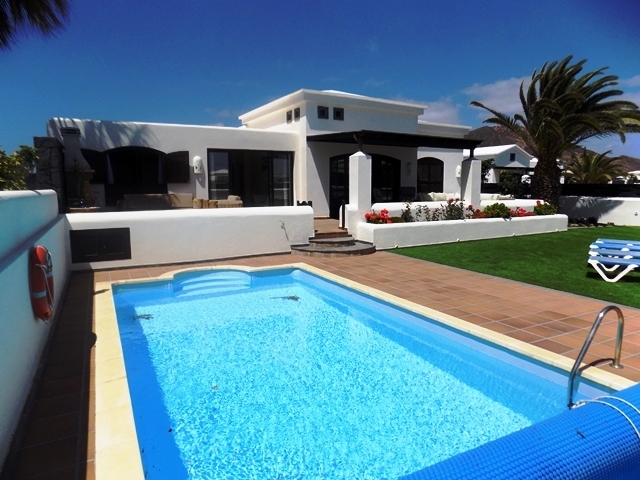 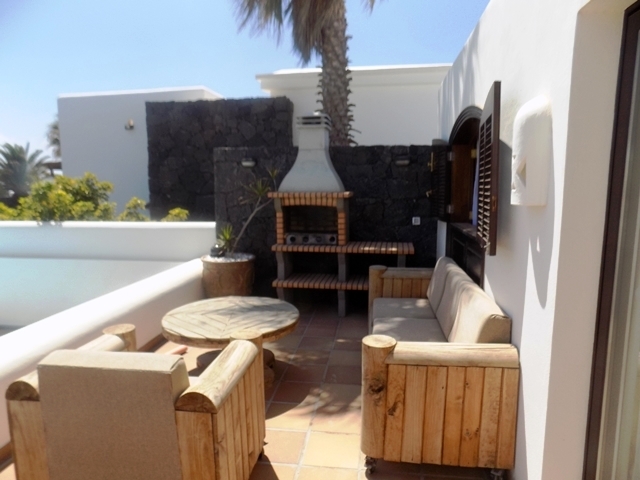 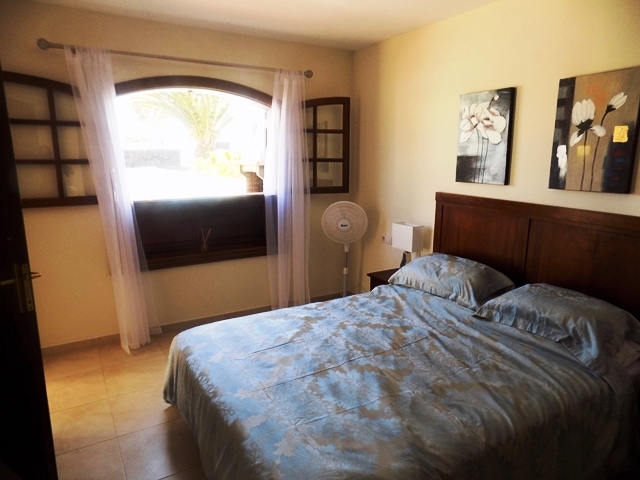 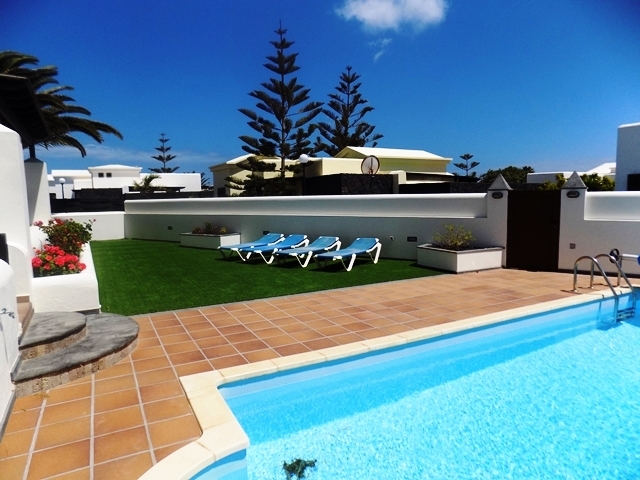 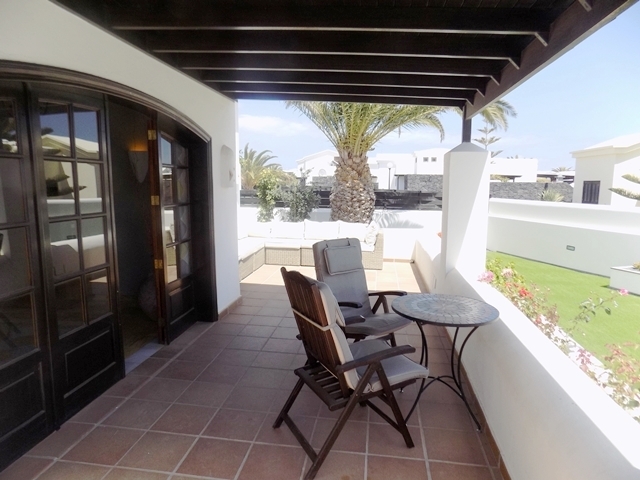 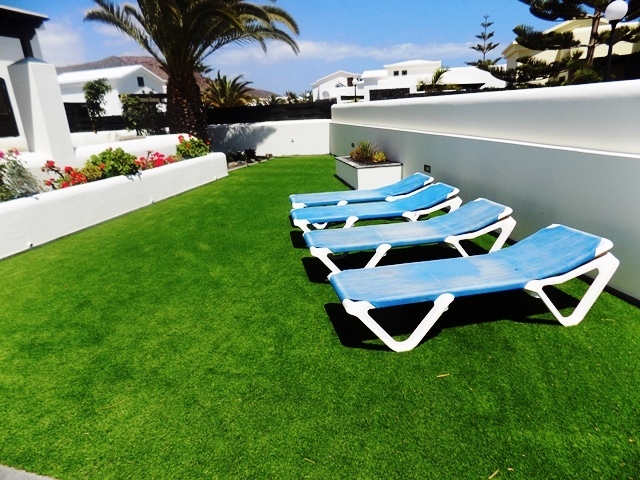 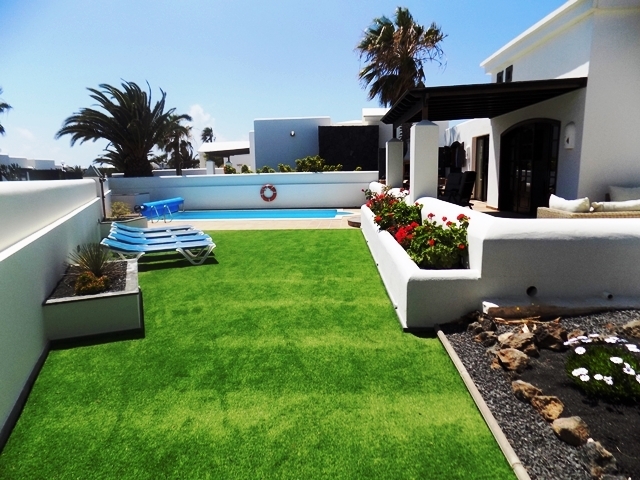 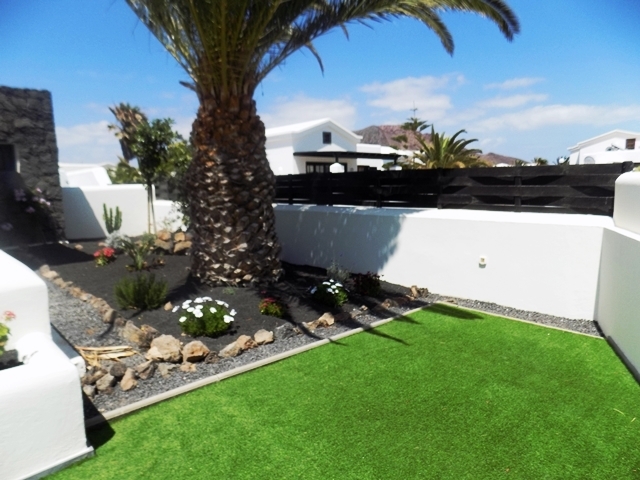 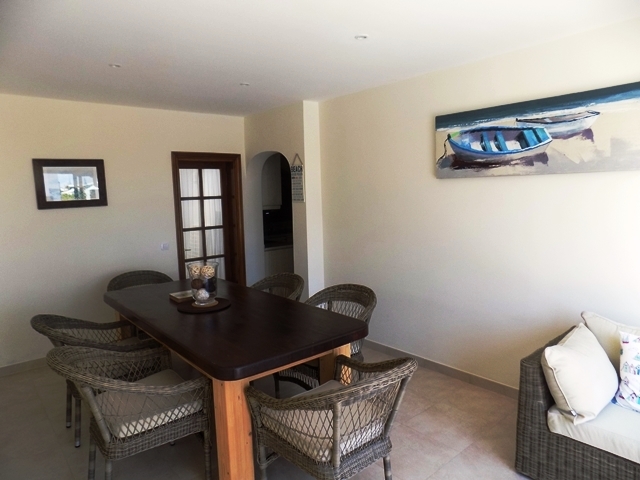 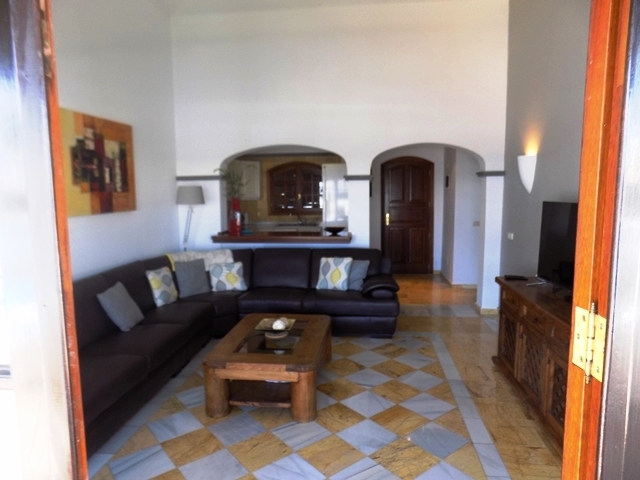 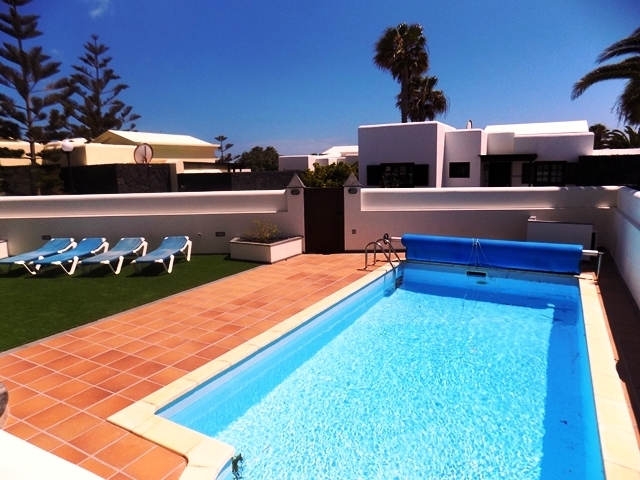 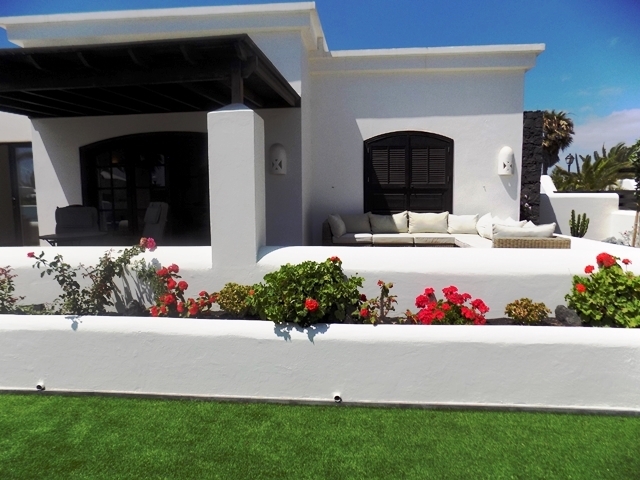 It has 3 Bathrooms, a fully fitted kitchen / utility, Internal Dining Room, Private Heated Pool, Alfresco Dining Area on the Terrace, Canarian BBQ and Astroturf to one side of the villa besides the pool. 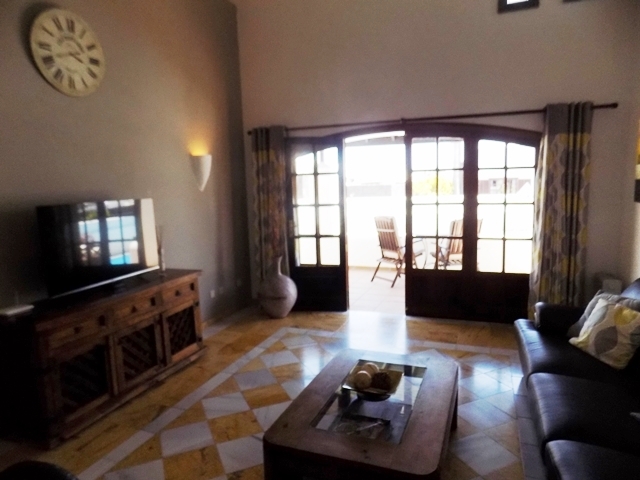 Entertainment comes in the form of Internet TV Package (ITV, BBC and Sky) & like all of our villas, it is furnished to the very highest standard and welcomes young children & babies. 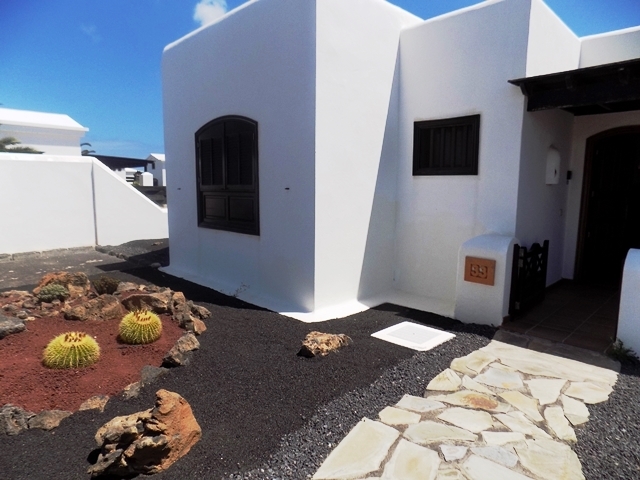 From £595 per week (Two People In Low Season with Wifi) to £1075 (Six people in Peak Season including Wifi), this villa can be hired by calling John or emailing us.